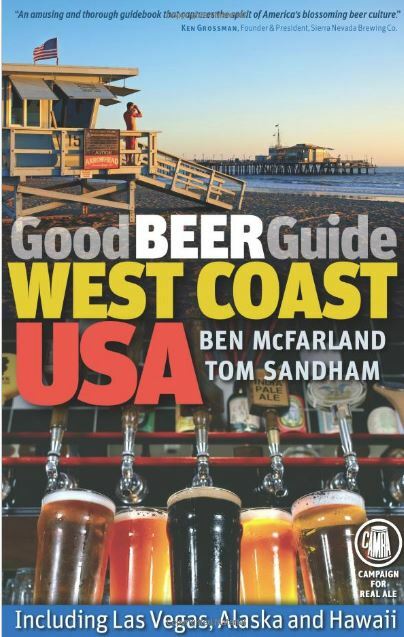 The Good Beer Guide to the West Coast USA, published by the British Campaign for Real Ale (CAMRA, see below), is an essential guide to where to find the best brewpubs, good beer, great bars and breweries, all along the Pacific West Coast. For good measure the authors (one of them twice named Beer Writer of the Year) also include Las Vegas, Hawaii, and Alaska. 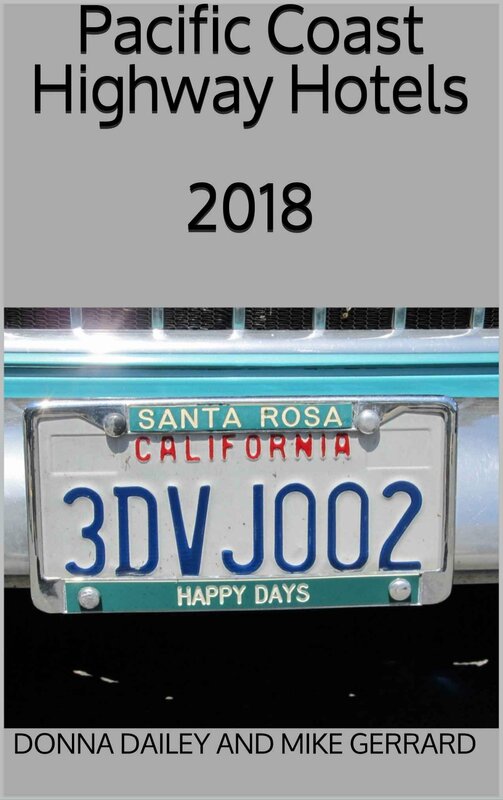 But the focus is California, Oregon and Washington, and especially the big cities of Seattle, Portland, San Francisco, Los Angeles, and San Diego. The Good Beer Guide to the West Coast USA isn't just a round-up of brewpubs and bars. Each section, whether a state or a city, includes a general introduction, giving an idea of what there is to do there, how to get around, and includes a few hotel suggestions too. These are brief, and I suspect were done to thank the hotels where the authors stayed on their good beer odyssey. There's also a piece about the beer scene in each place, to enable you to work up a thirst. There are maps to those five major cities, and to Las Vegas as well, and though they're not detailed down to street level, they do give you the general idea where each brewpub or other good beer source is located. Each entry also has address, phone number, website, and opening hours listed, to help out the good beer hunter, and there are also maps for Oregon, Washington, Hawaii, Alaska, and Northern and Southern California. The city maps have inset maps too, so San Diego, for example, has an overall map of the city and a separate map of Downtown San Diego. The San Francisco map (right) has the Bay Area and an inset one for San Francisco, Berkeley, and Oakland. This is what most people will buy the book for – the listings of good beer bars, brewpubs, and breweries. And here the authors have obviously done their homework. Every entry – and their are hundreds of listings in the guide – reads as if they have not only visited, but lingered, had a beer or two, got to know the owners and the locals, and generally got the feel of a place. The resulting write-ups are detailed, usually a paragraph or two in length, with some recommendations of good beers to try in each place. There are lots of color photos too, to brighten up the pages and to show the people behind the bars and the breweries. In San Francisco, for example, the Anchor Brewing Co get a two-page spread, with their various brews described. In Seattle the Elysian Brewpub gets extra space, and in Newport, Oregon, the Rogue Brewery sprawls across four pages. These all make great extra features, so you learn about the beer scene. This is far more than merely a guidebook to where you can go drinking. Both Ben McFarland and Tom Sandham are experienced and talented beer writers. McFarland was the youngest-ever writer to win the Beer Writer of the Year accolade from the British Guild of Beer Writers, an award he won again in 2006. Sandham has lived all over the USA, written for numerous trade and consumer drinks publications, and currently edits the main magazine for the UK bar trade, CLASS. Neither of them is a beer geek, their writing is light and accessible, and you feel you're in the company of two affable guys who like good beer, good brewpubs, and good company. 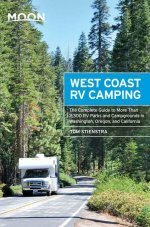 The Good Beer Guide to the West Coast USA is paperback that runs to over 300 pages. It includes an introduction to American beer, a brief history of the West Coast, practical travel details on how to get there and how to get around, a list of beer festivals, a long history of beer in America, an explanation of American beer styles for those who may not be familiar with them, and information on matching beer with food, and cooking with beer. This book definitely gives value for money! For those who don't know, CAMRA is a British organisation, the Campaign for Real Ale. It was started in a pub in Ireland by four guys from Northwest England who were on holiday back in 1971. It was first named the less catchy Campaign for the Revitalisation of Ale, but catch on it did and today there are about 89,000 members. As well as continuing to campaign for real ale and good pubs to drink it in, CAMRA organises the annual Great British Beer Festival, is one of the most successful consumer groups in Europe, and publishes a series of excellent books like the Good Beer Guide to the West Coast USA. Amazon USA and Amazon UK.